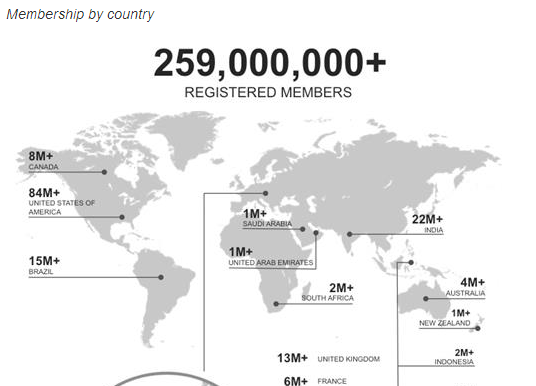 Linkedin is still today the number one business networking site and counts about 260 million users worldwide. In last years the company made a lot of investments tin order to improve corporate offering, focusing on empowering the corporate pages and introducing a lot of marketing tools such as the targeted updates, targeted contents, company page and group insights. What it is still missing today is a tool able to analyze the network. Many years ago, Linkedin offered you some insights about your 1st degree connections telling the trending industries, the trending role and something like that. Those data had been removed and now, also if you are a Premium member, aren’t available. More: if you download your connection list, you can’t gain any useful data set more than the email address, company and descriptive (not by category – department and level) roles. In a business networking strategy such information are as important as the breath and it could be an added reason why to, eventually, subscribe a premium account. Also if you look for a third-party application for linkedin profile insights the offering si very limited and not so complete. 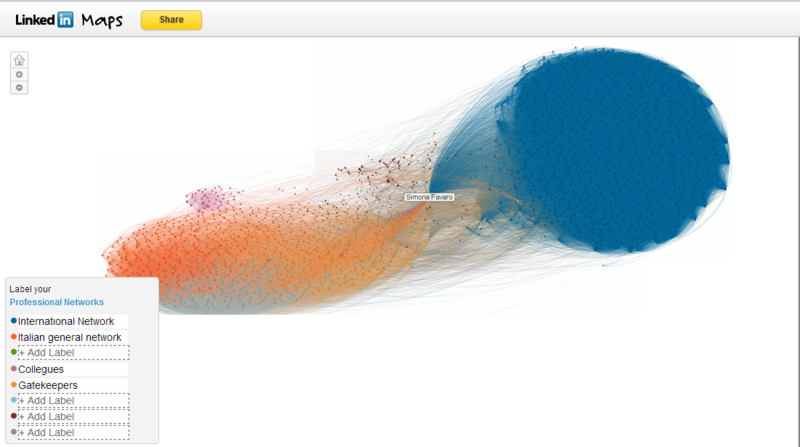 Linkedin InMaps is a network visualization tool able to show the structure of your network. 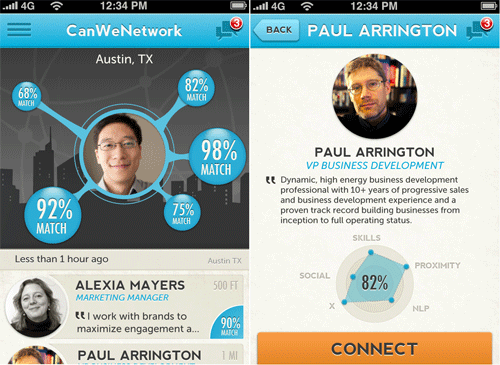 Can We Network is an application for Apple and Android based devices able to profile the most interesting contacts (actual or potential) near you. It analyzes your profile and search the linkedin network those contacts matching your profile better. ProInsights is the only application I found that responds to the need to have some insights about your network. The app goes through your network and create an infographic with some statistics and offering a view on countries, ages, industry and other related stuffs.The application has a paid model (actually 3.99$ at the Play Store). There is also a free edition, but the features are very limited. Even if Linkedin is a fast growing business network and many professionals are joining it, It seems that the company is focusing only on Corporate Marketing Services, more than personal business networking. Also it seems that the member premium are more targeted on people looking for a new job. 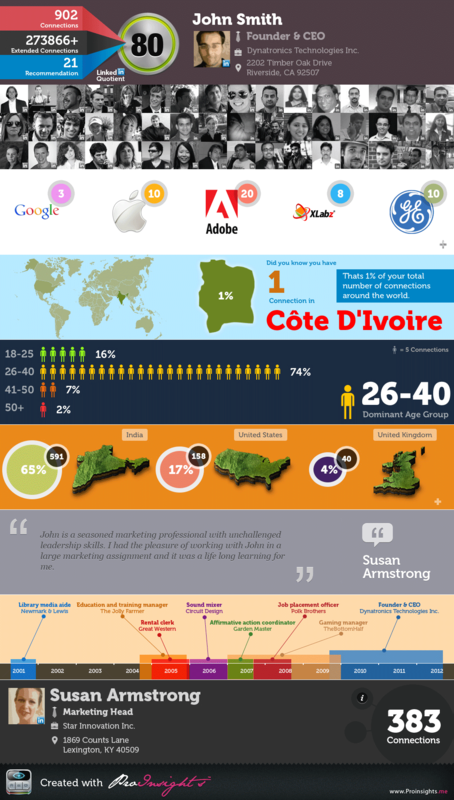 There are no native marketing and leads analytics useful service for members. InMaps related to the official LinkedIN Labs, is limited to a visual figuration of the network but very uncomfortable when you have a large network. CanWeNetwork can help you to search for more ınteresting profiles, but gives you no information about network. ProInsights offers you a great insights for your network but you are not so flexible in analyzing, as well as lead-generating (not clear how to generate leads for life insurance or any other niche, for example). Do you know any specific tool for analyzing personal network on LinkedIN ?